Haute Residence welcomes prominent real estate agent, Michelle Schwartz to its invitation-only network of top brokers. As a Haute Residence partner, Schwartz exclusively represents the high-end real estate markets in Studio City and Sherman Oaks, California. A Beverly Hills native and quintessential L.A. gal, Schwartz grew up immersed in Los Angeles real estate, learning the intricate nuances of each neighborhood. 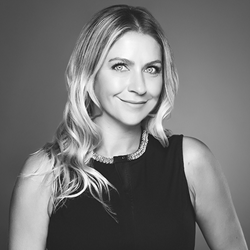 A founding member of The Agency, she is managing partner of the firm’s new Sherman Oaks office, which provides exceptional real estate services to the San Fernando Valley. In the business since 2010, Schwartz specializes in Los Angeles’ affluent Westside and the Valley. Currently residing in Studio City, Schwartz has the ability to represent clients across the city with an equal grasp of 310 and 818 markets and their respective distinct characteristics. Her years of experience and solid knowledge of brand and lifestyle marketing allow her to provide an array of opportunities, perspectives, leverage, and exposure that is unmatched in the industry. Nominated as Inman’s Most Innovative Agent of 2016, she has proven her abilities career-wide. With an unwavering commitment to her clients, Schwartz thrives on offering an exceptional level of service, assisting with everything from property prep and staging to design and landscaping. Always readily available, she provides results-oriented guidance with honesty, transparency, and sincerity, which has earned her a flourishing business based heavily upon referrals and repeat clients. Whether budgets are high or low, Schwartz treats all of her clients with the respect and kindness they deserve, happy to guide them through the transaction process. Schwartz is a former team member of The Umansky Group, headed by Founder and CEO of The Agency, Mauricio Umansky. Prior to practicing real estate, she owned her own marketing and public relations firm, which focused on consumer goods and trends, health and nutrition, and licensed goods. Working with Fortune 500 companies such as Reebok, Herbalife International, Disney, Bank of America, and ESPN, Schwartz has shown exceptional ability and comprehension in getting into the minds of consumers. A graduate of The University of Southern California, when not selling real estate or developing her own design/build projects, Schwartz is an honored wife and mother of two wonderful boys, Ethan and Asher, and snuggler of Hugo, her first child, an Italian Greyhound. She is proud of her Mexican heritage and is fluent in Spanish.